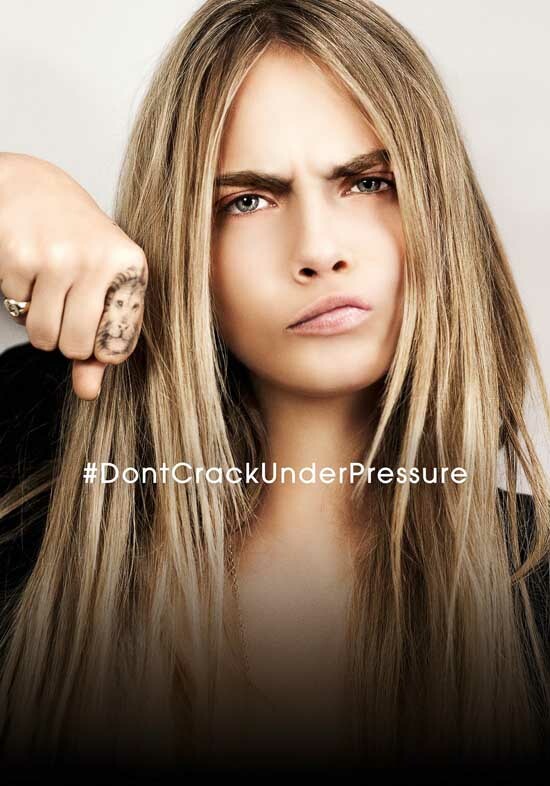 British model Cara Delevingne has been announced as the face of Swiss watch brand TAG Heuer, starring in two campaigns with the tagline #DontCrackUnderPressure. Born under the sign of Leo in London in 1992, Cara joins the long list of sports stars and celebrities that includes Cristiano Ronaldo, Cameron Diaz , Leonardo DiCaprio, Maria Sharapova, Jenson Button, Lewis Hamilton as a TAG Heuer ambassador. What do you think of Cara as the new ambassador of TAG Heuer?